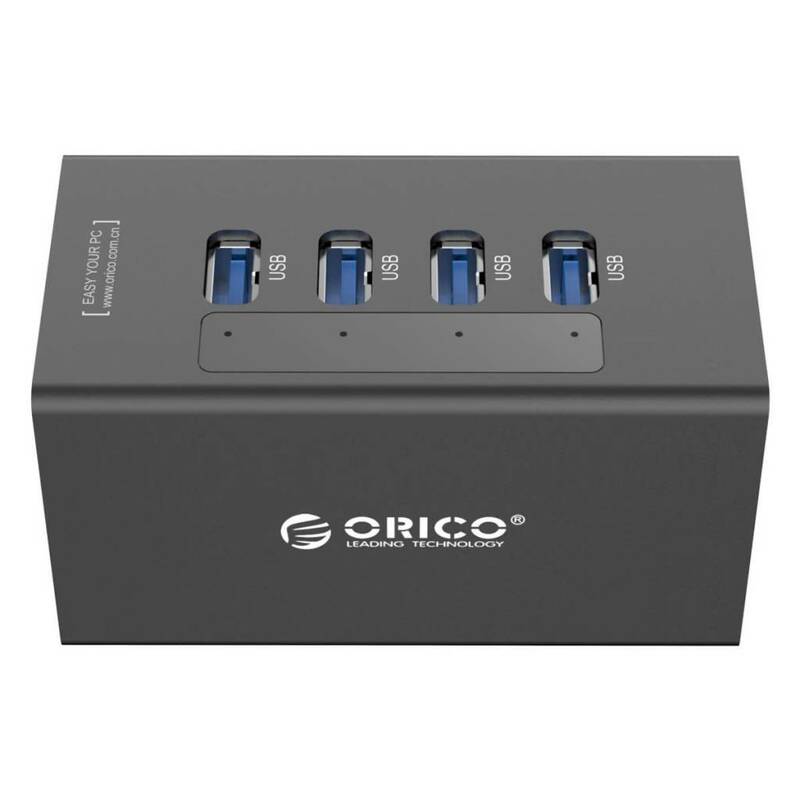 ORICO 4 Port Aluminum HUB with 12V2.5A Power Adapter and 3.3Ft. USB3.0 Date Cable - Black(A3H4) - NWCA Inc. 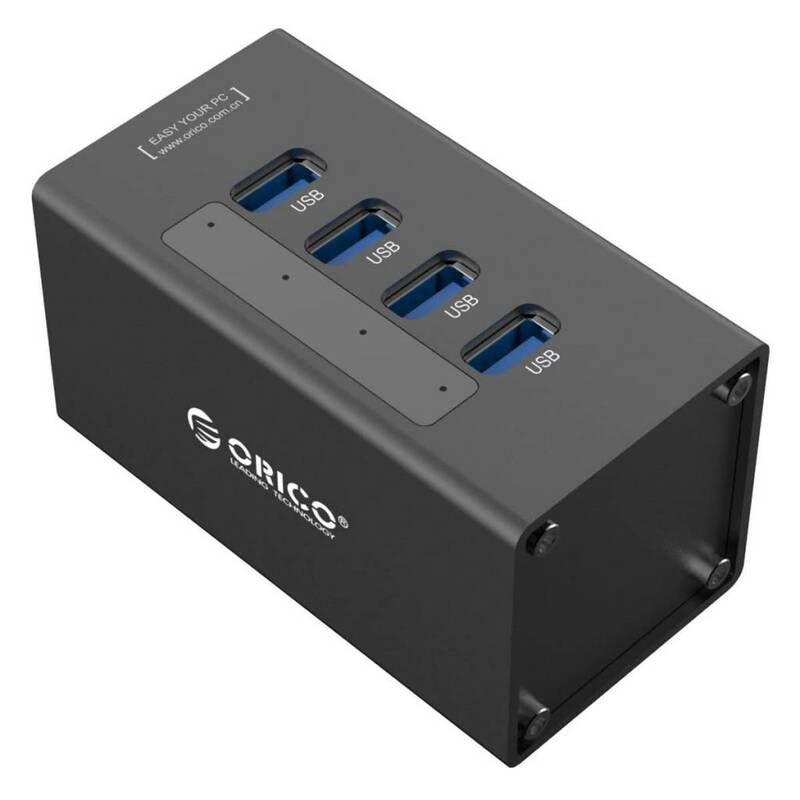 Premium 4-Port USB Hub: Have a ton of USB devices? 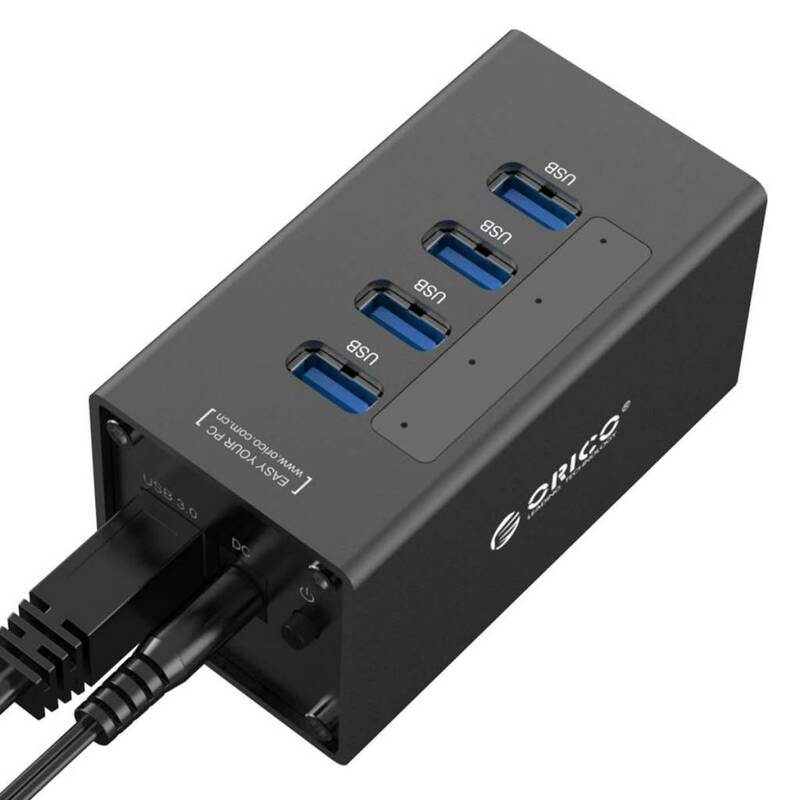 Expand your computer's number of connections with this 4-port USB 3.0 hub. 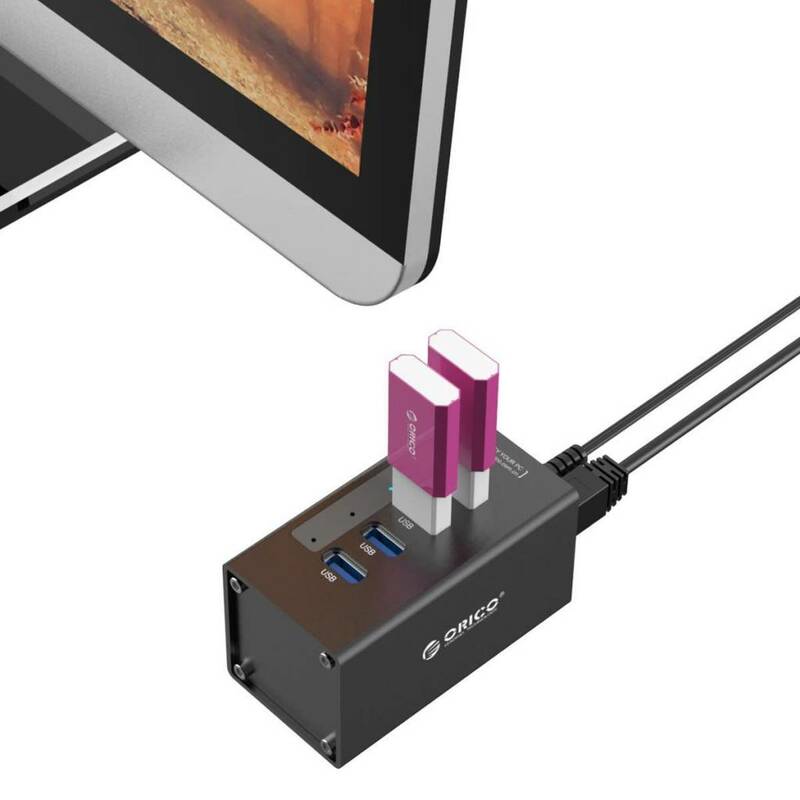 Connect and charge all of your USB devices at once instead of having to disconnect and reconnect over and over! 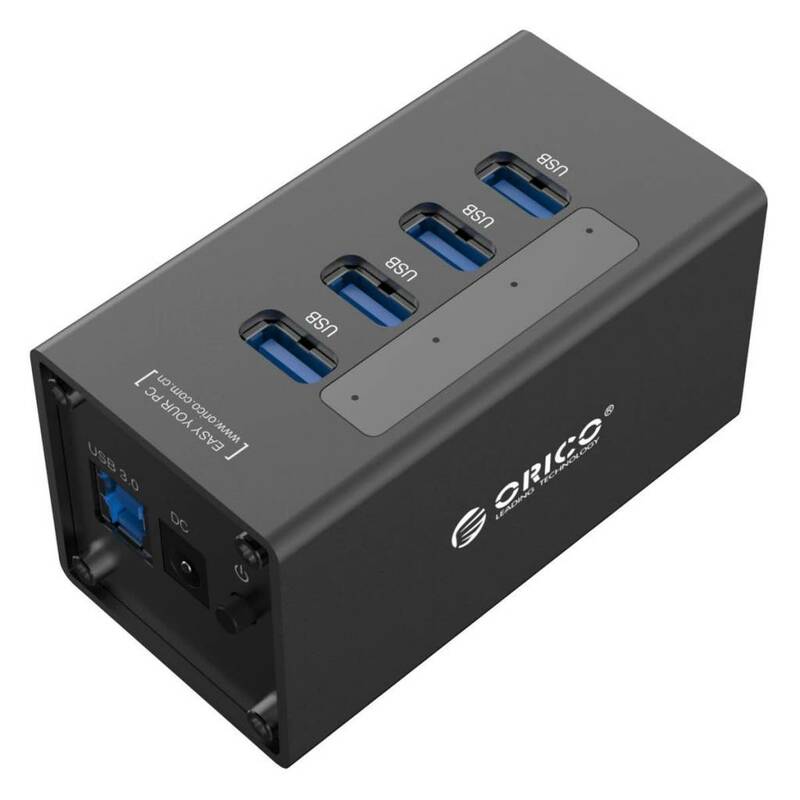 Installation: This 4 ports hub is small but powerful, no driver or application needed. Plug & Play installation, support for hot-swapping. This is a very easy way to access to all your devices or be connected at once. You will never be worried about USB connections! 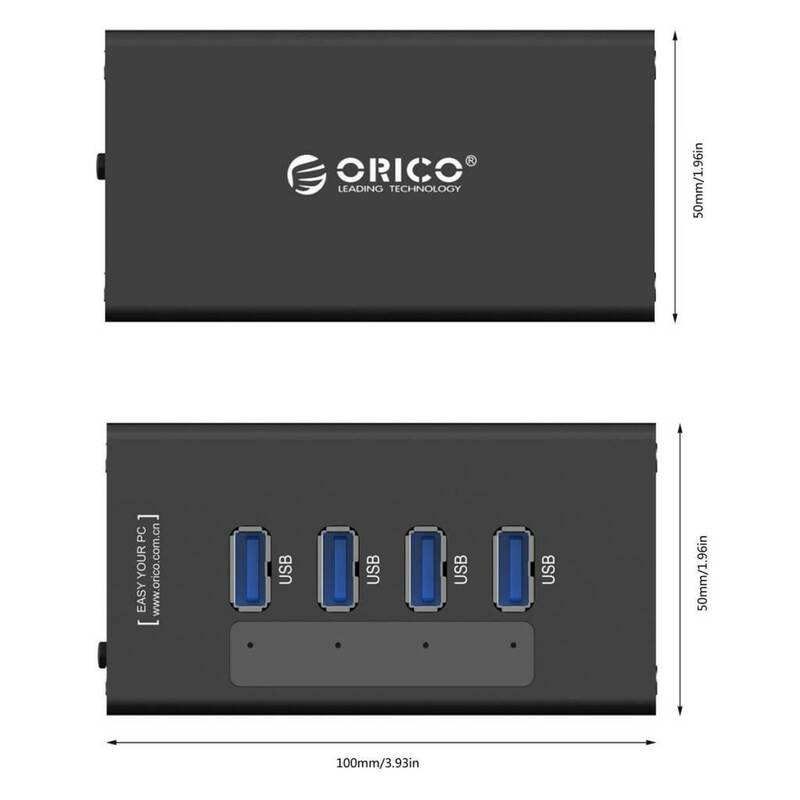 Wide Compatibility: This ORICO USB3.0 hub supports USB2.0 and USB1.0 connections, so it is compatible with most portable devices, such as digital cameras, iPods and iPhones, all kinds of card readers, USB speakers and more. Independent 12 V 2.5A power supply support high power consumption devices, such as multiple hard drives.